At the northernmost limits of Southern California you will find a paradise that the unending sprawl of the greater Los Angeles area has yet to conquer. Nestled between the Santa Ynez Mountains to the east and the Pacific Ocean to the west, the seaside city of Santa Barbara is a certifiable Garden of Eden for outdoor lovers of all kind. 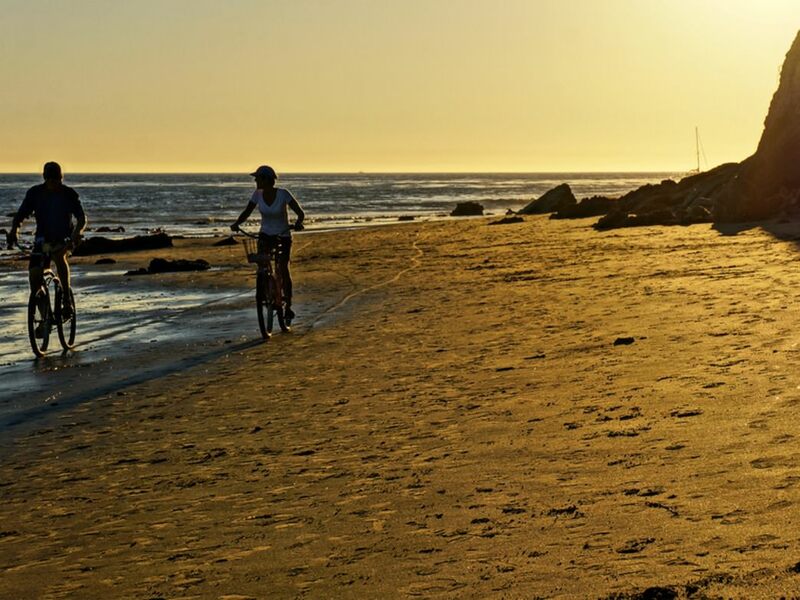 From world-class waves and stunning singletrack, to solitary coastal walks, hidden hot springs, and beautiful bouldering sites, the Santa Barbara region has something for everybody. Even better, when your day spent dialing up the stoke meter is done, this town does as good a job when it comes to serving up high quality eats and adult beverages. Truly, the hardest part about a weekend well spent in Santa Barbara is telling yourself that it's time to go home. 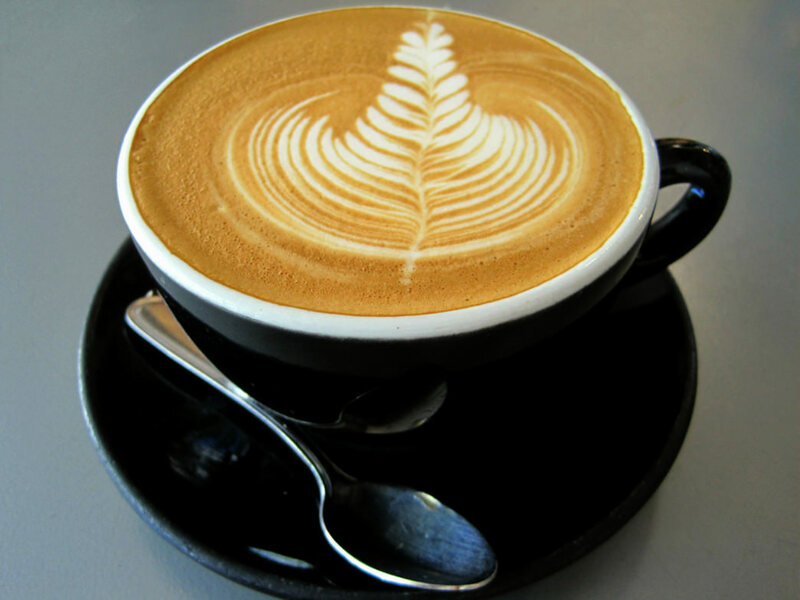 Downtown Santa Barbara has no shortage of places to get a proper cup of coffee, but a few stand above the rest when it comes to high quality beans and rewarding atmosphere. With two downtown locations, The French Press has become the town’s coffee darling in recent years by roasting their own joe, baking their own treats, and offering it all in a welcoming—and definitively hipster—setting. The baristas are regulars in both regional and national coffeehouse contests and, depending on who is pulling your hot cuppa, the foam art is often Instagram worthy. Also roasting their own beans is Handle Bar Coffee, a cute coffeehouse on East Canon Perdido Street in the heart of what locals like to call the "gourmet ghetto." The spot is a go-to for local bicyclists and has a courtyard seating area (that they share with arguably SB’s best deli Three Pickles) that is hard to beat. With the Santa Ynez Mountains bookending Santa Barbara on one side, there is no shortage of trail options just a few minutes outside of town. Even better, the vast majority of these options are open to hikers and bikers alike. (Even horseback riders get some love on several area trails.) And, if you are hitting the trails in winter or early spring, there is also a bevy of swimming holes, waterfalls, and natural waterslides waiting to be discovered. The Cold Spring Trail in the foothills behind Montecito is a fine place to start, whether it's your first time hiking around these parts or your thousandth. Easily accessed from Mountain Drive, the main trailhead provides a jumping off point to a slew of different thru-hikes and/or loops with a wide variety of scenic overlooks, benches, and other assorted spots of interest along the way, such as a few of the aforementioned waterslides. In the rainy season, this trail can be hiked to the picturesque Tangerine Falls (just make sure you stay on the left side of the creek while hiking up) or, anytime of year, you can follow this trail all the way up to Montecito Peak—a fun and arrestingly scenic climb of almost 2,700' accessed via the trail’s East Fork. For those looking for a little less vertical without sacrificing the views, a stroll along the bluffs at Elwood Mesa in Goleta is a terrific way to spend a morning or afternoon. With Elwood beach below, a network of trails rambles along the scenic bluff top with views of the Pacific to one side and the Goleta Valley to the other. Even better, time your hike with the annual migrations of Monarch Butterflies (typically in early to mid-Winter), and you have the chance of hanging out in a grove of Eucalyptus trees with literally tens of thousands of monarchs. Should the Monarchs not be in season, have no fear, the same patch of Eucs provides a great bit of shade on the otherwise sun-soaked hike. Plan ahead and bring a picnic lunch to enjoy on the beach. For those looking for a bit more solitude or simply looking to find some of Santa Barbara’s legendary hot springs, the Los Padres National Forest looms large to the east of Santa Barbara. 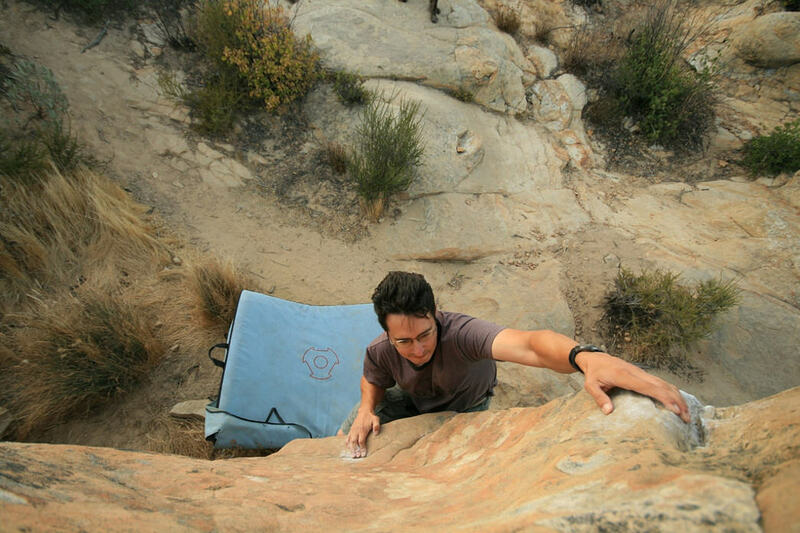 Traditional alpinists may find the Santa Barbara area a bit lacking in the climbing department but, if bouldering with ocean views or climbing short yet technical pitches is your thing, then have no fear—this part of the world has them in spades. Off of East Camino Cielo along Highway 154, Lizard’s Mouth is a place not to be missed. The predominately sandstone landscape coupled with the Pacific Ocean beyond creates a mystical sense of place that is only heightened during the hours around sunset or sunrise. However, should you hear the tell tale ring of gunshots, there is no need to run for cover. A nearby shooting range is to blame and though it can be a bit disconcerting, it is completely safe. In the same neighborhood you will find the Brickyard, a remarkably dense bouldering area with roughly 100 different routes to choose from on quality sandstone rock. If you are looking for an indoor pump or simply want to find out more about climbing in Santa Barbara, be sure to look up the guys and girls at the Santa Barbara Rock Gym. Located just off of State Street, the gym offers a wide variety of services including lessons and guided outdoor tours. South-facing and blessed with scores of cobblestoned right-hand point breaks, the coast of Santa Barbara County is a surfer's dream during the winter months. Places like Rincon Point and Sandspit, though dormant for most of the year, are world famous waves that attract some of the best surfers on the planet when the conditions are right. However, for the bulk of the year, the offshore Channel Islands work as vicious swell blockers and render most area surf spots flat from March to November. Though this can be a bit of a bummer for the surf addicted, for those willing to have a paddle nonetheless, the regularly placid Pacific can make a mighty fine place for a SUP adventure, some sea kayaking, or a simple fitness-minded paddle. 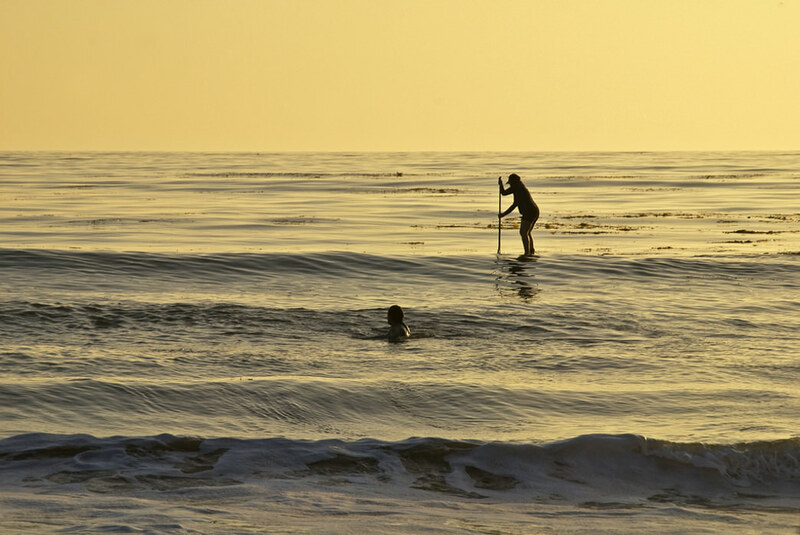 State Parks north of town, like El Capitan State Beach and Refugio State Beach along the Gaviota Coast, offer great swimming beaches with lifeguards during the summer months as well as wonderful low tide beach walking and offshore kelp beds, ripe for exploring by SUP or kayak. 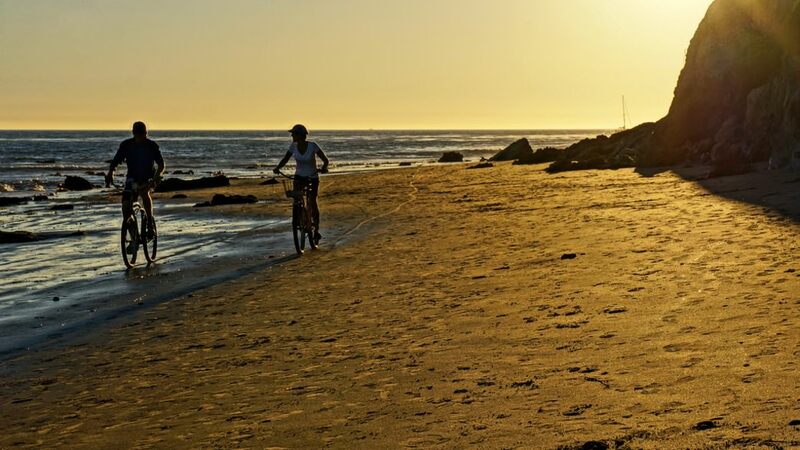 Harder to find and more popular with the folks who call Santa Barbara home, Elwood Beach in Goleta and the Hammonds/Coral Casino area of Montecito both provide less crowded, yet essentially idyllic beach day set-ups. In the city itself, a day at East/West Beach offers walking access to kayak or SUP rentals and easy outings around the nearby harbor and wharf for all but guaranteed seal and sea lion sightings. 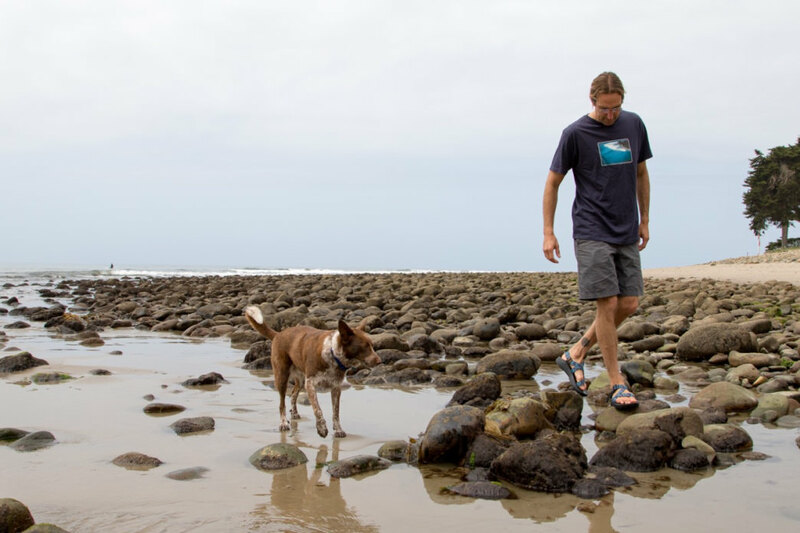 And Arroyo Burro Beach, located in the city’s "Mesa" neighborhood, welcomes off-leash dogs and has some sneaky fun surf during the spring and summer months. It is also one of the few places in town where you can get a meal and a cocktail at sand level thanks to The Boathouse. Take a short stroll around Santa Barbara’s main drag of State Street and the eating and drinking options are extensive, if not a wee bit intimidating. From Chinese to Japanese, to belly busting burgers, to world-class Italian, Santa Barbara’s State Street has it all. However, to beat the crowds and to find some of the town’s best eats, folks looking for a feast to remember should consider some of the harder to find local spots. 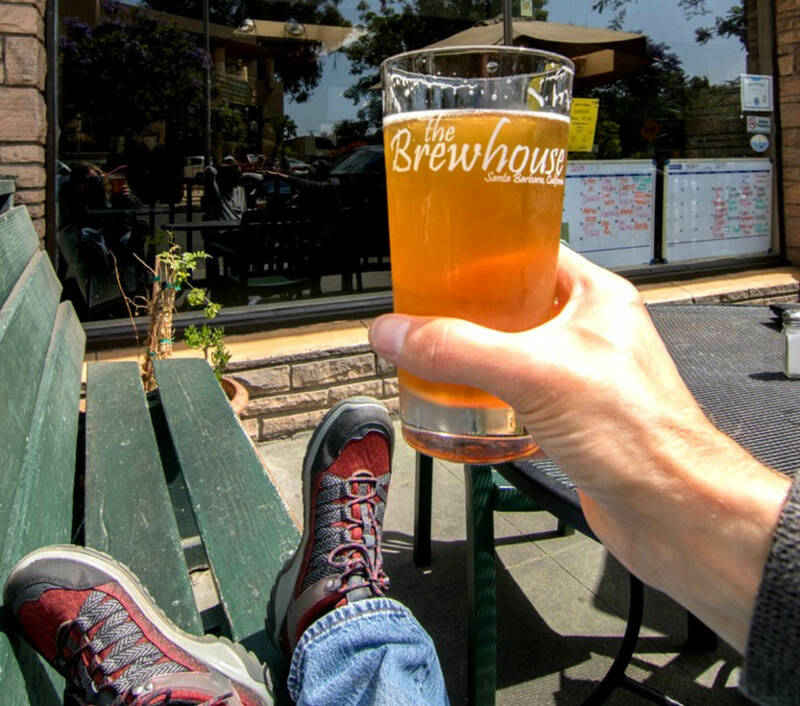 For an ever evolving beer board, a formidable California cuisine menu, and an always colorful atmosphere that often includes live music after the sun goes down, be sure to check out The Brewhouse on West Montecito Street. The tacos found at Lily’s Tacos on Chapala Street are as authentic as any you will find this side of the Mexican border. You can even get brain or tongue or cheek tacos! Elsewhere, the drinks and Chinese-inspired bar menu and jazz soundtrack at The Pickle Room are a fantastic way to decompress after a long day spent using your body. And the views and Bloody Marys at Brophy Brothers Restaurant and Clam Bar, located smack in the middle of the Santa Barbara Harbor, has been a cherished local go-to for Happy Hour and more for many years. If healthier food is more your scene, you cannot go wrong at Mesa Verde— a foodie's dream. One of the biggest difficulties in having a great weekend getaway to Santa Barbara is finding a place to stay. A popular vacation spot for Californians and foreigners alike, the hotels and campgrounds are booked solid throughout most spring and summer weekends, so be sure to make your reservations early. That being said, if you are looking for a bit of a “glamping experience” be sure to check out El Capitan Canyon. Located just a short walk from the beach, this destination-style campground offers cabins or safari tents nestled into an oak and sycamore tree-dappled canyon. The Wayfarer is located in the heart of Santa Barbara’s Funk Zone and is also just a short walk to State Street. 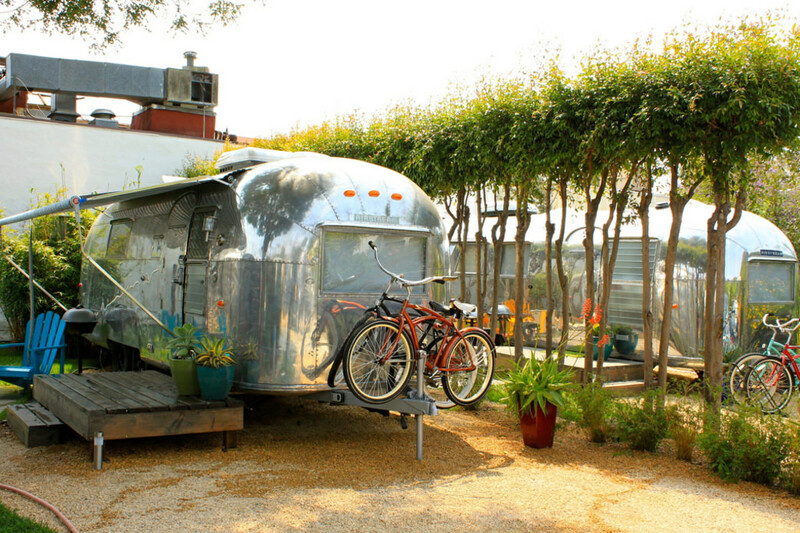 It provides a unique and affordable stay that combines the best of both a hip city hotel and a hostel, including a large shared kitchen, outdoor swimming pool, and general vibe that screams “Fun first!” Also in downtown Santa Barbara is the SB Auto Camp, a funky reinterpretation of an RV park that rents out fully restored, boutique Air Streams by the night. If sleeping in the dirt and hanging out by a campfire is more your style, any of the state parks along the Gaviota Coast, such as El Capitan or Refugio, are great spots to do so. South of town, Carpinteria State Beach fits the same bill while, north of town, Jalama County Park, if you manage to get a spot, is a beautiful and remote campground with a surprisingly well-stocked camp store and some high quality beaches to boot.